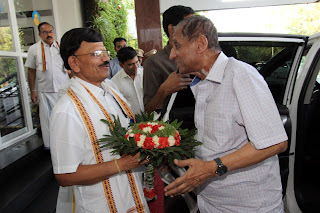 Tirumala, 8 Apr. 19: HE Governor of Andhra Pradesh Sri E.S.L.Narasimhanan accompanied by wife Smt. 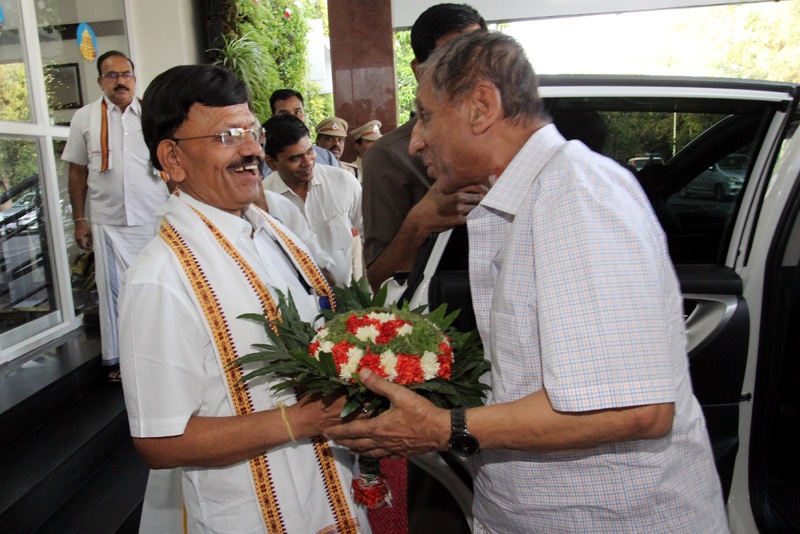 Vimala Narasimhanan arrived in Tirumala on Monday. 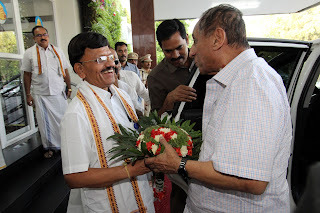 On his arrival at TTDs Sri Padmavathi Rest House, Joint Executive Officer Sri B Lakshmikantham accorded a warm reception. Reception Officials Sri Balaji, Lokanadham and others were present.